Watching your small business grow is always exciting. It’s proof that your ideas have merit, your time is well-spent, and that all your hard work and dedication is paying off. But increased demand for your products, without the framework in place to handle that demand, can lead to packaging problems that eventually hamper all that hard-earned growth. 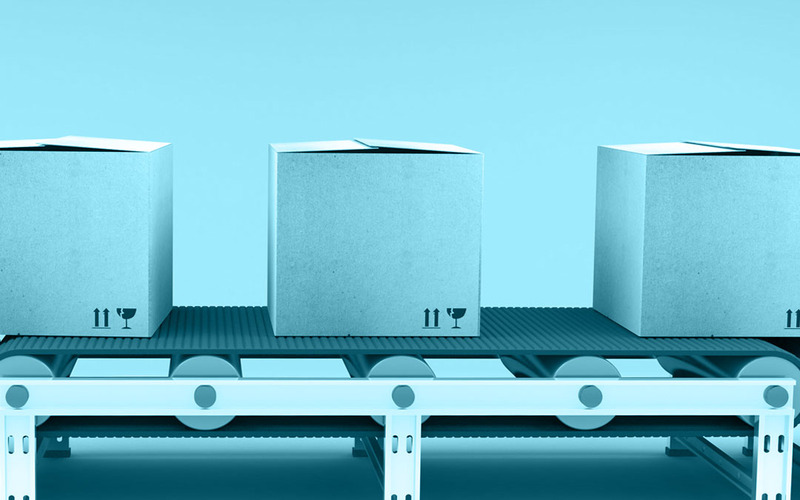 Here’s 6 signs you should add entry-level automation to your small business and take control of its packaging efforts. You’ve got enough product volume to handle immediate demand, but you’re unable to pack or re-pack fast enough to satisfy it. Perhaps your online store’s products are constantly entering backorder, or your physical store’s shelves are emptying as fast as you can fill them. Either way, it’s a hurdle that needs overcoming, and automation can help. Bag Openers speed up the packing of candy, bread and lots of other goods. They inflate the bag (rather than you having to fumble with opening it), allowing products to simply slide in. Air Cushion Machines speed up shipment packing. They create on-demand cushion to protect items, in 3 different pillow types. It’s perfect for small to medium shipments. The volume of orders you’re getting is impressive and exciting, but it’s beginning to overwhelm your capabilities. Maybe you’re missing pick up opportunities when the deliveryman comes around, or your shipping dates are starting to slip. Either way, it’s a sign that you need an increase in packing speed to help you get shipments out the door faster. Tape Dispensers speed up the sealing of your shipments. Manual versions dispense and cut tape more easily for you, while powered versions dispense pre-cut and pre-determined lengths. This is always a great thing, leading to more growth for your business. But it also likely means that every product isn’t getting the full attention it needs. More products to pack or label, but no additional time or people to handle them, is math that doesn’t add up. Automation will help reduce your packaging times, creating more time on the schedule for packing up that new addition to your product line. Tagging Guns speed up the tagging of clothes and other products. They quickly attach and anchor any labels or marketing materials with the pull of a trigger. No matter how fast and efficient a dedicated employee becomes, repetitive motions can be hard on their hands. Fumbling to open a food bag, loading it with goodies, holding the bag’s opening closed, wrapping a wire closure around it and twisting it closed, takes time—and eventually takes a toll. Creating packing stations with appropriate entry-level automation machinery reduces packing times and saves human hands. Twist Tie Machines speed up the closing or bundling of your products. They quickly wrap up and close the opening of a bag, or secure a group of items tightly together. That increase in demand, and those new products you’re offering, means you need more people to get things done. You’re glad to grow, but your budget might not be able to handle the extra man hours, especially in the early going. Entry-level automation will speed up your packing efforts, letting you get over the initial clash of needs versus costs. Label Dispensers speed up the branding of your packaging. They peel labels off their backing, allowing for easy placement on the finished product. Every business is looking for ways to cut costs while improving productivity. Plenty of small businesses have discovered how entry-level automation is speeding up their schedules and giving them more opportunities for growth and profit. Don’t let your business get left behind. And if you’re looking for automation that’s more than entry-level, be sure to get in touch with us. Our customer service team can help you create the custom packaging strategy your business deserves.